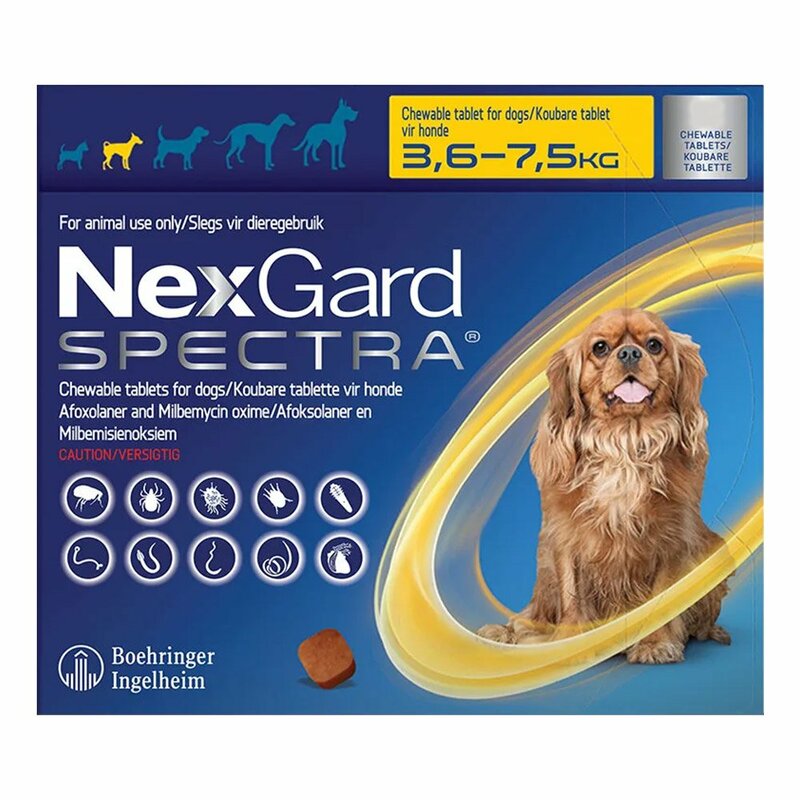 Nexgard Spectra is a broad spectra parasitic treatment for dogs. The beef flavored chewable is highly effective in treating various internal and external parasites. 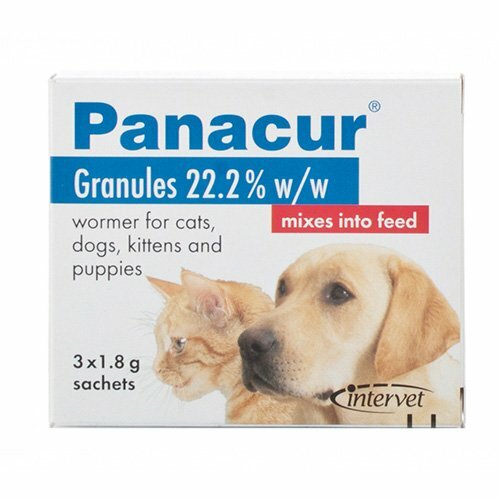 The oral treatment kills fleas, ticks, as well as roundworms, hookworms and whipworms. This oral treatment combines two active ingredients for the complete control of numerous infestations. The formulation kills parasites by interfering with the way that signals are passed between the nerve cells of their nervous system, leading to paralysis and death of the organisms. 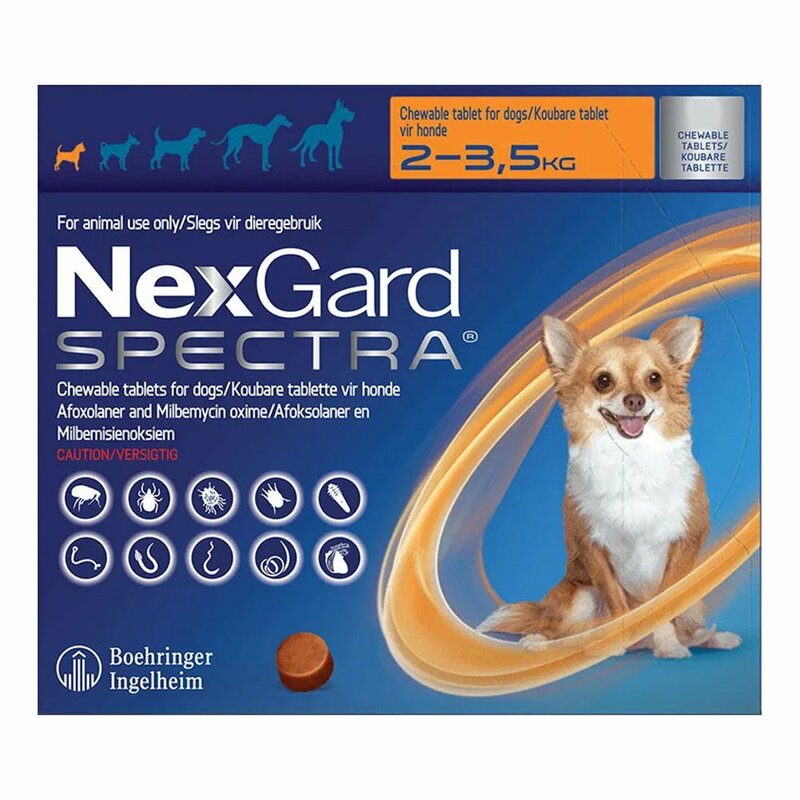 Nexgard Spectra is a monthly treatment that is easy to administer and effective in preventing heartworm disease. 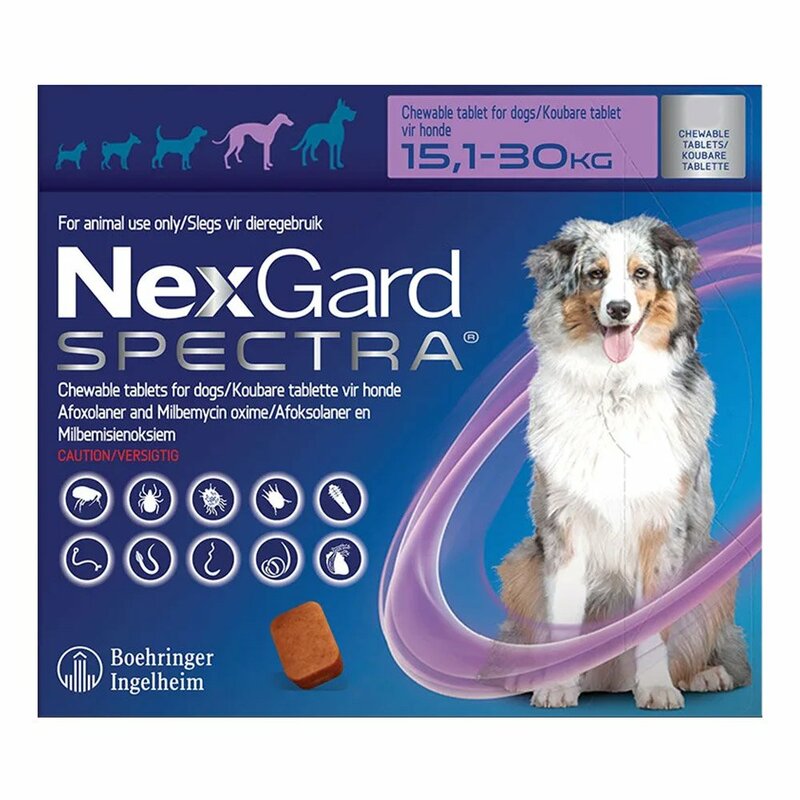 Nexgard Spectra is safe for all breeds and puppies from 8 weeks of age. 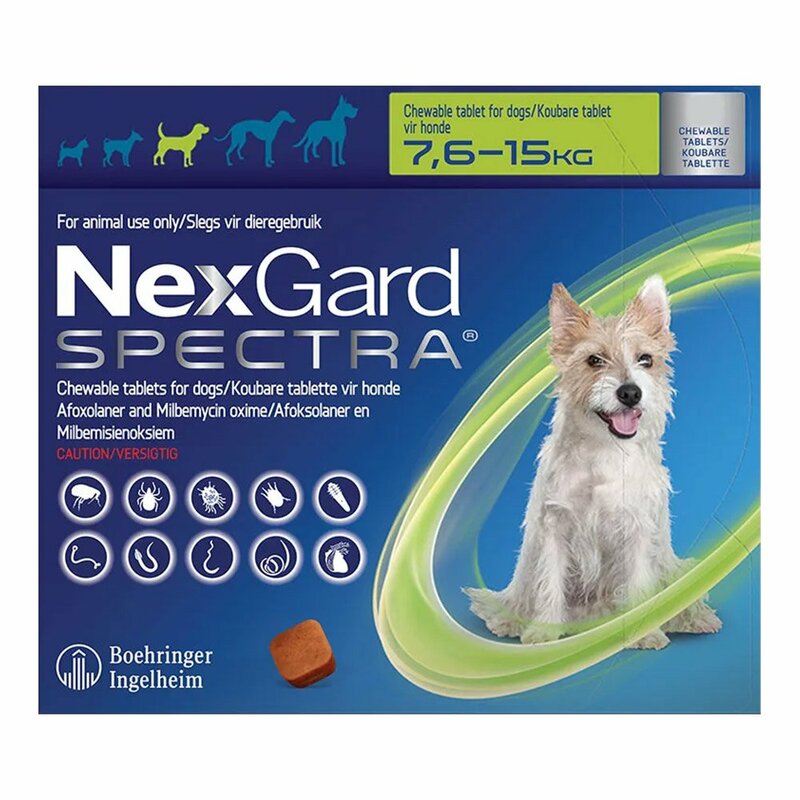 Nexgard Spectra is a beef-flavored chewable that is highly effective in treating fleas, ticks and intestinal worms in dogs. The oral treatment is highly used in the prevention of heartworm disease. 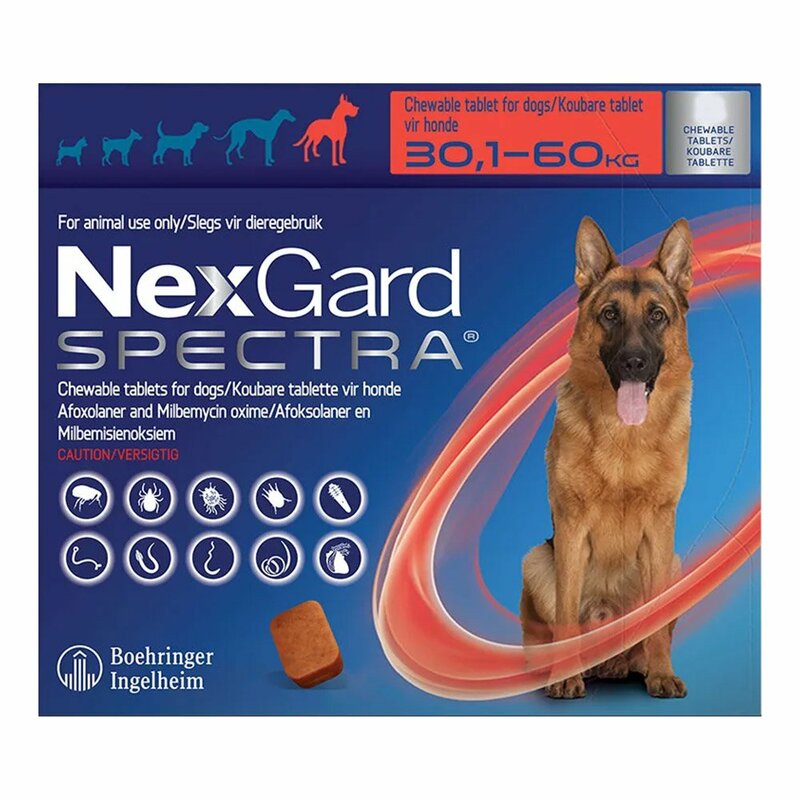 Nexgard Spectra controls flea infestation in dogs for 5 weeks, tick infestation for 4 weeks. The flavored chew treats gastrointestinal adult nematodes of the species – roundworms, hookworms and whipworms. The oral treatment is also effective against mites controlling demodectic mange (caused by Demodex spp. ), sarcoptic mange (caused by Sarcoptes scabiei), and otodectic mange (caused by Otodectes cynotis). 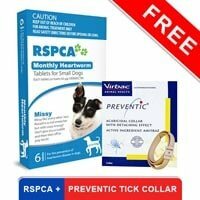 It lowers the risk of flea tapeworm infestations by rapidly killing fleas. Nexgard Spectra should be given orally. Can be given with food or without food. According to dog weight, you can select the pack and start the treatment any time. 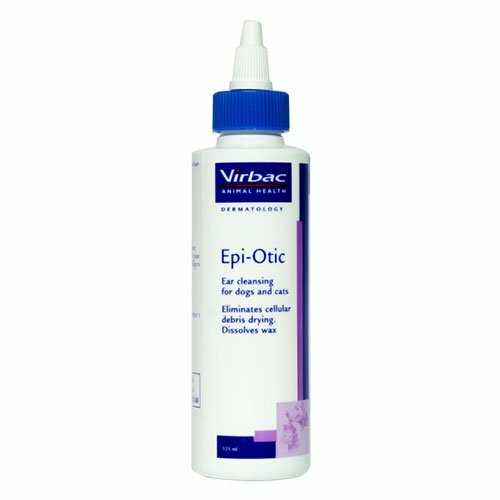 A lovely oral treatment that effectively whipped whipworms away in my Mastiff. My pal loves these chews. They are not only tasty but also highly efficient in protecting my buddy from fleas and ticks. A spectacular product! Awesome price value for this one!! 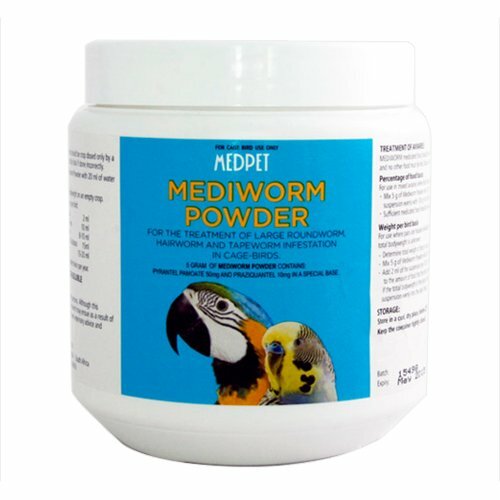 Hearworms are a reason to panic for me.. And when my vet was out of town, I had to search for meds online just to be sure of getting the same product and came across this website where I get the same thing at a cheaper price!! Ordered on the same day..
40 of 60 found this review helpful. For my ginger, this is the perfect heartworm prevention as it is in the form of tasty chew and I give it as a treat..
1 of 126 found this review helpful.